I was sitting in a coffee shop having breakfast with some friends in one of the food stalls in Kota Samarahan, a small town not very far from Kuching. At the other table across us, there was a family of five. Everyone had a mobile phone, including the youngest, who happened to be a toddler. The parents were both busy reading or looking at their phone attentively, while the two teenagers were busy playing mobile games. The younger one was watching a YouTube video on a tablet. Everyone was glued to their phones. No one was talking to each other! They continued looking at their phones, even while they were eating. They hardly uttered any word to one another while they were having their breakfast. On the same note, while my friends and I were waiting for our food to be delivered, another friend arrived to join us. He sat down, looking very sad and exhausted. When asked, why he looked so down, he responded by saying that his girlfriend of five weeks whom he had met on Facebook, had ended their relationship and he didn’t know about it. Social media has impacted various facets of our modern life and has a very profound influence in interpersonal communication, especially in the way we are interacting with one another. 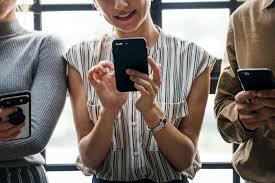 With the spread of mobile technology, it has become much easier for more people to maintain constant contact with their social networks online. And a lot of people are taking advantage of that opportunity. Modernisation and advanced communication technologies, particularly digital and mobile technologies, have to some degree, fulfilled our social needs to interact and communicate with each other, and social media has become a preferred medium of communication for several reasons. For one, it is very convenient, cheap and affordable and can be used anytime, anywhere if we are connected to the internet, and more importantly, we can personalise it to match our needs, whatever they may be. In a highly hectic and fast-paced environment – where everybody seems to be in a hurry to reach the office, school or any other destination – we find that it is becoming harder to find time to take time to greet or chat with friends, family or acquaintances. And for that purpose, social media and mobile communication have become our saviour for some of us in the sense that they have helped us to reconnect and reach out to our loved ones or friends, or establish a new relationship with others outside our social circle. Digital devices have made our lives apparently easy but at the same time, it also reduces our social interactions to be impersonal. What has happened to our conversation with friends, neighbours, and family? 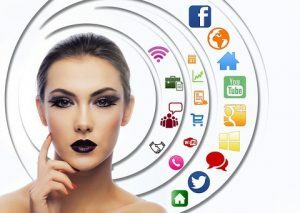 Social media and digital devices have not only influenced the way we interact or communicate with one another, but have also affected our quality of life in general. 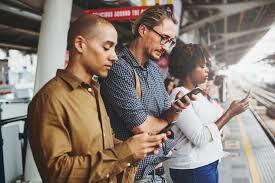 We have become so addicted to mobile communication or digital devices that we no longer feel the need to converse with one another anymore. Even our children contact their friends in the neighbourhood through mobile devices only. They have become the victim of the digital revolution and becoming lazier, and some have even become more introverted. According to experts from the College of Communication at DePaul University in Chicago, social media certainly has affected how we engage with one another across all venues and ages. They further assert that there has been a shift in the way we communicate, rather than face-to-face interaction; we seem to prefer mediated communication. In fact, we would rather e-mail each other than meet; we also prefer texting than talking on the phone. Some protagonists even argue that some even lost their social skills and are incapable of carrying on a normal conversation or interacting with people in person. People are more obsessed with checking their smartphones rather than engaging in meaningful conversations with their child or spouse. 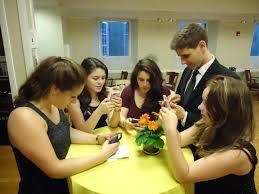 Several issues have emerged regarding the role of social media in people’s communication styles. Firstly, we tend to trust the people on the other end of the communication, thus our messages will be more open. Secondly, our social connections are not strengthened as much through social media as they are face-to-face, so we don’t feel the need to deepen our relationships – they tend to exist in the status quo. In addition to that, we also prefer to follow or interact with people who agree with our points or views; therefore, we aren’t getting the same diversity of viewpoints as we have received in the past. Now, herein lies the danger. First, because we tend to be more open with the people on the other end of the communication, we are becoming more vulnerable to them. We feel compelled to share our most intimate details, our feelings, our emotions, our desires and dreams with this other person that we have just met on social media. We don’t know that person intimately, but we trust them with our innermost intimate details of ourselves. This is an illusion because once the information is out there, there is nothing we can do about it – we are no longer in control the moment our personal details are placed in the public domain. This is one of the reasons why many young venerable people are easily targeted by extremist groups. Because the relations we establish on the social media is only existing in the status quo, we are not compelled to hold back when expressing our opinions, thoughts or ideas over certain issues, particularly those that we felt so strongly about. We don’t often stop to think about the consequences of our actions, words, and opinions on others; if we get our viewpoints across, that is all that matters! Those who feel that they have been oppressed, or silenced often take it to the social media to express their displeasure, or frustration over a certain individual, group, organisation or government. Bashing, trashing or doxing is very common on social media because there is no repercussion of doing so due to the anonymous nature of social media, especially Facebook and Instagram, to name a few. For all we know, it could be anybody! This is further compounded by the fact that most of us hardly care to check the authenticity of the source of the information we receive. We also became intolerant of different views which are attributed to the fact that we often follow or interact with people who share the same view, ideology, or belief with us. 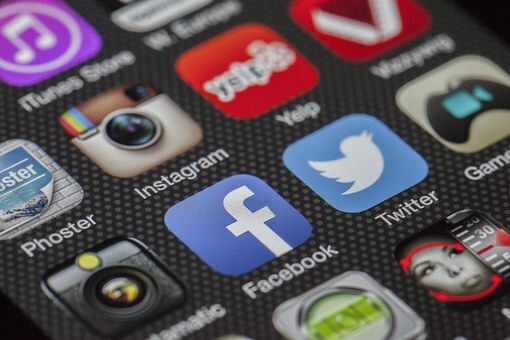 Social media and mobile technology are double-edged swords. It is wonderful to have them because they enable us to communicate with more people and assess information, faster and cheaper. However, if we are not careful, it also can distract us to the point of being blind and deaf to everything else that is going on around us. Dr Lucy Sebli is a lecturer and political analyst at Universiti Malaysia Sarawak. Social media, mobile tech double-edged swords 0 out of 5 based on 0 ratings. 0 user reviews.